Markus Klinko, Swiss-German and a one-time Paris Conservatory harpist with several CDs and awards to his credit, switched to fashion photography and never looked back. “You can't do music with one hand. I don't even have a harp any more – I don't want to play for myself.” But his music background was a plus when he and Indrani became a team fourteen years ago; they got their big break working with David Bowie, and were soon in demand by Grammy-winning pop stars like Beyonce, Mary K. Blige, Kanye West. The high-energy artist admits to eating healthy and being a gymoholic but, once Bravo's green light for Double Exposure came through, he was quick to agree to Indrani's suggestion that the three (already highly attractive) correct any imperfections that might keep them from feeling they looked their best in closeups they couldn't edit themselves. When Markus visited us for a consult, our plan for him was nothing less than the full reconstruction he needed and wanted, up to the standards he demanded and deserved. With full reconstruction patients, we create veneers and crowns on all teeth to reestablish lost tooth structure and to allow the jaw to move forward to a more ideal aesthetic and functional position. Because of the pressing time frame Markus had to meet, we were able to complete his entire treatment in only three-and-a-half weeks. Markus knew that he had not only met his own exacting standards, but exceeded them, with an exceptional makeover that was truly closeup-ready. I didn't like my teeth before, for many reasons. I knew I had a bad overbite and many problems to correct. But I wanted them fixed – no half-baked tries; I would do whatever it took. We were looking for the best dentists in the world. 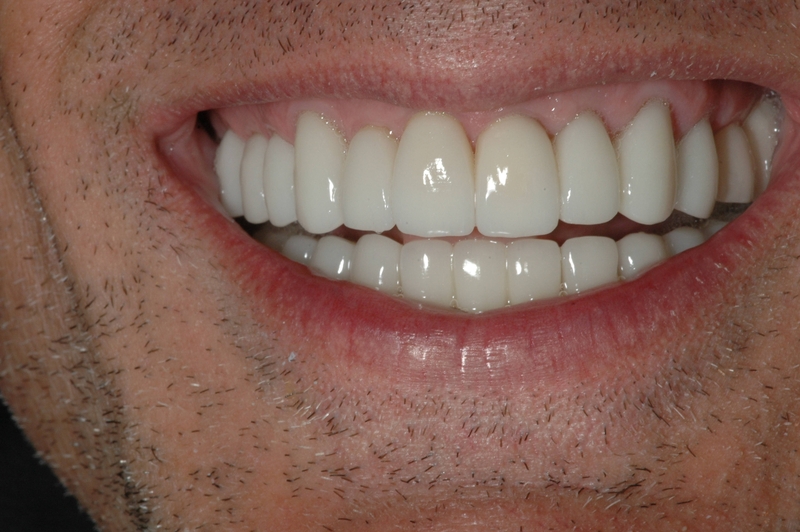 One of our employees found NYC Smile Design, and when we saw their work and compared it to others, we wanted them. My lower jaw was completely redesigned. It looks subtle, but feels much more comfortable. The work took only two full days and a few checkups after – it hardly interfered with my life at all; I went out on a date two days after it was finished! How gentle they were! There was no pain. They were like guardian angel dental masters! What I learned from the makeover was interesting: anyone can make themselves over, and better. You don't have to accept everything you were born with.